One of the challenges for the state is how it ratifies international agreements. Indonesia has arduous tasks due to its late to ratify international conventions or agreements, even though such international instruments are needed for national interests. Based on Law Number 24 of 2000 on the International Agreement, it is stipulated that the ratification of an international agreement in Indonesia uses two instruments, inter alia laws and presidential regulations. To adhere to this view, the compelling exigency is essential to analyze as it has been a challenge to overcome and anticipate obstacles in the ratification process and there is an importance to set a period of time to the ratification of special international agreements. There is a possibility to use the Perppu or the government regulation in lieu of law to the ratification of international agreements due to its legitimacy equivalent to the law. LESTARI, Fitri. Legitimasi Peraturan Pemerintah Pengganti Undang-Undang dalam Ratifikasi Perjanjian Internasional Tertentu. 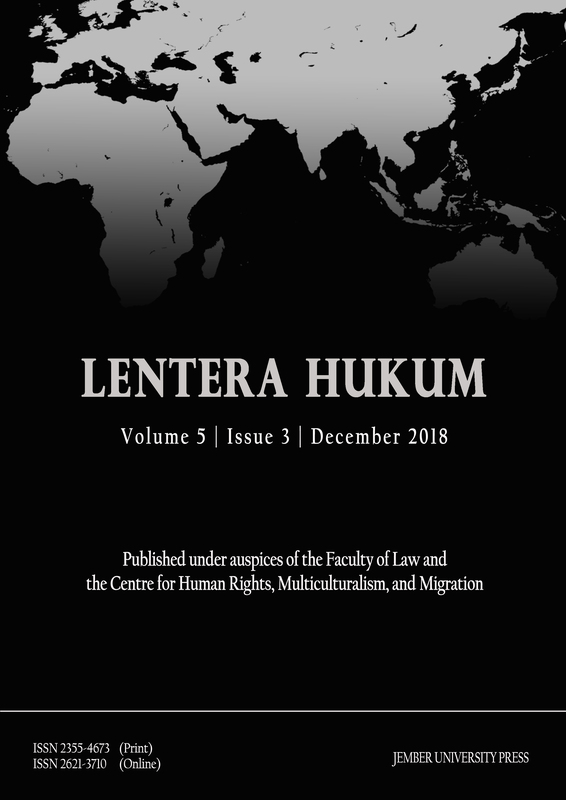 Lentera Hukum, [S.l. ], v. 5, n. 3, p. 343-366, dec. 2018. ISSN 2621-3710. Available at: <https://jurnal.unej.ac.id/index.php/eJLH/article/view/8097>. Date accessed: 23 apr. 2019. doi: https://doi.org/10.19184/ejlh.v5i3.8097.